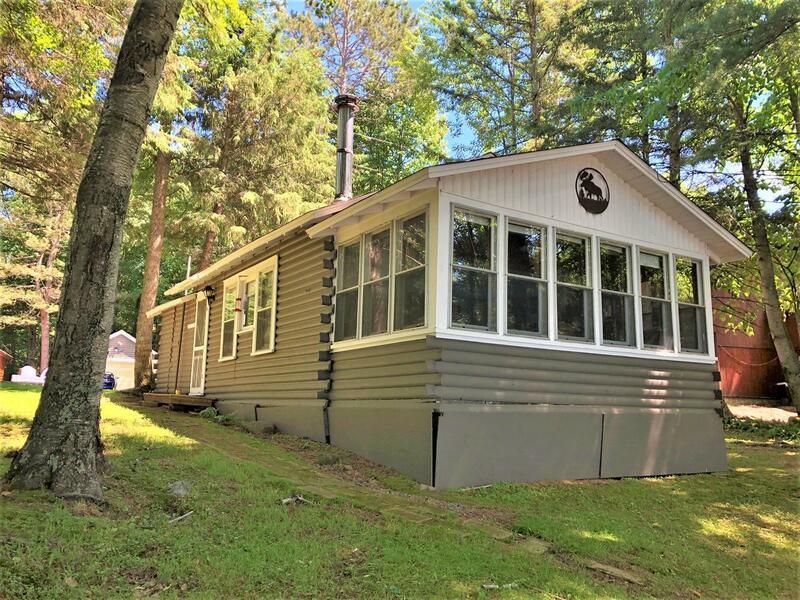 Looking for an affordable four season, lake front cabin with sand frontage? Then this is your dream come true! This cabin is located on Connors Lake, a 410 acre lake that offers great fishing and allows watersport activities. You&apos;ll enjoy the cozy feel of the 1 Br, 1 Ba rustic cabin also providing you with basic modern amenities and a spacious living area to relax with amazing panoramic views of the lake. Recent updates include a new roof, updated electrical to 200 amp, and fresh paint all around. New steps have been put in to ease the walk down to the lake where you will find a dry boat house that also doubles as an ice fishing shack in the winter with a wood stove and window to watch tip ups. The 60&apos; of frontage provides a private beach-like setting with a nice sandy shoreline and gradual walkout. The cabin w/ 1-car garage sits on 1.89+/- acre wooded setting on the ATV & snowmobile trail. Newly stained pier, boat lifts, paddle boat, & canoe are being sold separately. Call today! !